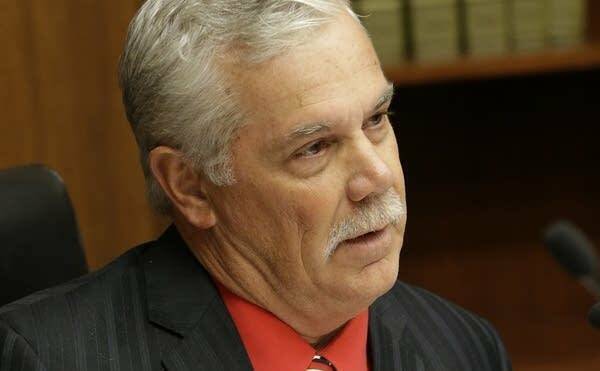 Updated: 8:40 p.m. | Posted: 4:21 p.m.
New details have surfaced about the behavior of Republican Rep. Tony Cornish, with sources describing conduct to MPR News ranging from unwelcome sexual advances to unwanted flirtatious contact with staff, colleagues and lobbyists. The information — gathered by MPR News through interviews with 25 people and a review of messages Cornish sent — shows the eight-term lawmaker routinely blurred boundaries between his legislative work and his pursuit of female companionship. MPR News interviewed more than two dozen lawmakers, legislative staff and lobbyists who worked with or around Cornish over the past seven years. Many would agree to interviews only if they were granted anonymity because they feared that going public could bring retribution from Cornish, R-Vernon Center, and other lawmakers. Most are still involved in state politics. • Cornish sent messages to women about his sexual attraction to them, and he gossiped with others about conquests he hoped to make. • A former House staff member brought concerns to a supervisor about Cornish and his behavior toward a female colleague. It's unclear how the complaint was resolved. Asked about the existence of complaints, either received, resolved or pending, House Human Resources Director Kelly Knight said personnel matters are confidential. • Cornish sent messages to a female staffer asking whether the woman was single or was waiting for him, according to the woman who received the messages. The woman, who no longer works for the House but received messages from the lawmaker after she left, asked not to be named because it could affect her future employment status. • A firm reassigned a lobbyist after Cornish made unwelcome advances toward her. The firm also decided to no longer allow the lobbyist to attend meetings with Cornish by herself, based on an interview with the person who made the decision. The firm isn't naming itself for fear of reprisal. • Cornish had a reputation among women at the Capitol that he should be avoided because he would behave inappropriately toward them. Former Rep. Carly Melin said she was warned to avoid Cornish when she was first elected in 2011. In one string of text messages to a female lobbyist, Cornish shifted from discussing pending legislation before his committee to making comments that he'd like to have a one-night stand with another female lobbyist. That lobbyist "has always turned my crank," Cornish wrote in one message. In another, he wrote he wanted to "drag her off one night" and said she "smelled good." In a follow-up message, Cornish quickly pivoted to the status of a bill that the lobbyist was working to pass. MPR News was provided the messages after agreeing not to publish the names of the people they were about or the person who received them. A lobbyist who anonymously initiated complaints about Cornish's conduct in media interviews last week supplied MPR News with another text confirming Cornish pursued her. "I tried to drag u," he wrote in the message. "Yu refused." A string of messages from 2015 shows Cornish texting about being sexually interested in three female lobbyists. He asks if one "good lookin woman" is scared of him. "I must have a 'reputation,'" he wrote. One lobbyist told MPR News she made clear to Cornish in response to his messages that she wasn't interested in a relationship. "I never gave an inch," she said. "If you let them think they have an opportunity, why would they stop?" 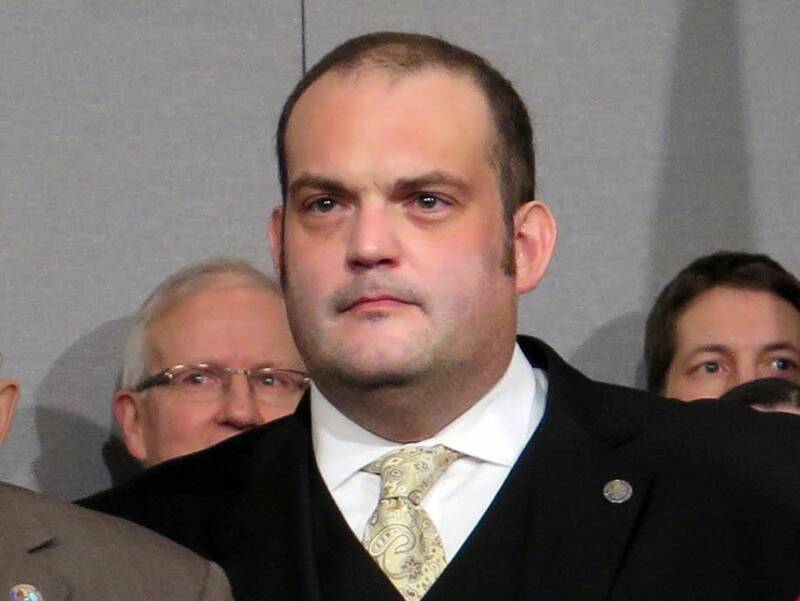 The new revelations into Cornish's conduct come as the Minnesota House of Representatives has hired an outside investigator — with a price-tag of $275 an hour in taxpayer money — to look into allegations that Cornish made unwelcome sexual advances toward the lobbyist. Late Friday, the chair of the Minnesota Republican Party said in a message to MPR News that "based on the allegations," Cornish needs to resign. "Sexual harassment or harassment of any kind is intolerable," said Jennifer Carnahan, "At the Republican Party of Minnesota, we seek to be a part of the solution, as we believe everyone deserves to be in an environment that is safe and free of harassment." Previously, Carnahan said an investigation would determine Cornish's fate. Rep. Erin Maye Quade, DFL-Apple Valley, said Cornish also sent text messages to her about her appearance. A former lawmaker said Cornish made similar comments toward her when she was in the House. Former state Rep. Carly Melin, DFL-Hibbing, revealed to MPR News that Cornish sent her many messages while she was a lawmaker. "It was definitely common knowledge among legislators and lobbyists that he would make inappropriate comments and sometimes engage inappropriately with female colleagues whether that be lobbyist or lawmakers," Melin said. Melin said she ignored Cornish's comments and did not report them to legislative leaders. She also said she was warned to avoid Cornish when she was first elected in 2011. Melin's comments reinforce the stories of other women who worked with or around Cornish that he viewed state lawmakers, legislative staff and lobbyists as his personal dating pool. Cornish's reputation became so well known that Republican House leaders in 2013 no longer assigned women to work for him, according to two people with knowledge of the decision. A check of legislative books detailing information about lawmakers and staff show no women working for Cornish since 2012. Rep. Joe Hoppe, who chaired the personnel committee charged with making Republican caucus staffing decisions between 2006 and 2016, declined comment. Hoppe, R-Chaska, said he was advised not to talk because the House may face a lawsuit over Cornish's conduct. 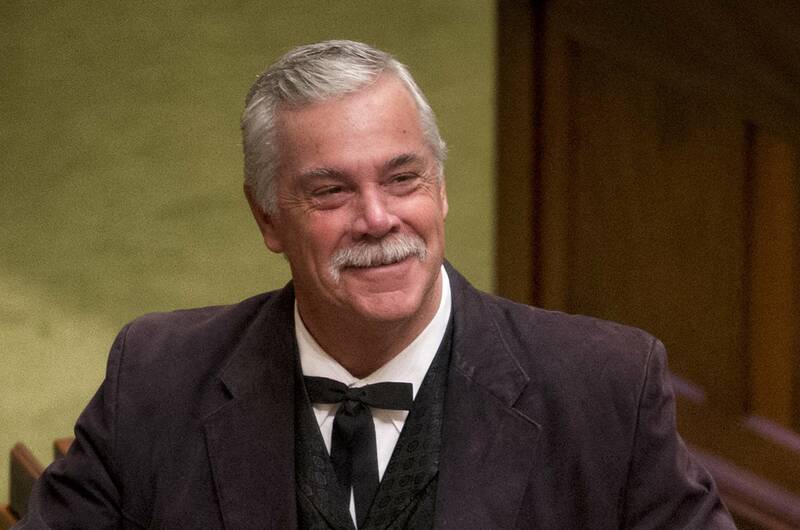 A Daudt spokeswoman said that since Daudt became leader "no complaints have been filed against Rep. Tony Cornish and there have been no special rules regarding Rep. Cornish." When contacted about the new allegations Cornish did not comment. When asked last week about his conduct, he denied that he cornered a woman in his office but emphasized that any communications between him and other women didn't cross the line. "I'm an adult, not a saint," Cornish said then. Last week, Cornish also denied sending inappropriate or romantic messages to other women, whether they be lobbyists or lawmakers. He said that he has never been spoken to by human resources or leadership, current or past, about his conduct. Former House Speaker Kurt Zellers, a Maple Grove Republican, contradicted Cornish's denial. He said he confronted Cornish after learning of second-hand rumors about his conduct during his time as speaker in 2011 or 2012. Zellers last week urged Cornish to resign. House Speaker Kurt Daudt, R-Zimmerman, said Zellers did not warn him about worries over Cornish when he became speaker of the House in 2015. Daudt has stopped short of calling for Cornish's resignation. "I feel like there is a process in place to resolve whether or not these things are right or whether policies or laws were violated, and I think we all have an obligation to respond to that appropriately and we will," Daudt said. Daudt last week suspended Cornish as chair of the House Public Safety Committee after news reports revealed complaints about Cornish's conduct. The House also hired an outside investigator, St. Paul-based NeuVest, to conduct an inquiry. Daudt said the investigation will focus on allegations made by a lobbyist that Cornish harassed her. The speaker said it could be expanded beyond a three-week timetable if other people come forward with complaints against Cornish. Daudt also said he wasn't aware of any other complaints against Cornish. The Legislature is exempt from the open-records law that would usually dictate release of those details. So it is difficult to determine whether any complaints are made against any lawmaker. Although Republicans in the House appear to be reluctant to call for Cornish's resignation, a bipartisan group of lawmakers, have called on Sen. Dan Schoen, DFL-St. Paul Park, to resign after he reportedly grabbed a woman from behind at a campaign event and made lewd contact with multiple women. Leaders from both parties agree that because Schoen has denied the allegations and refused to resign that they will pursue a formal ethics complaint against him. Cornish is serving his 15th year in the Minnesota House. Before he was elected in 2002, he served as a game warden in the Minnesota Department of Natural Resources, as a deputy sheriff in Blue Earth County and as a police officer for the city of Amboy, Minn.
Records obtained from the DNR show he completed sexual harassment training in 1998. Information the agency holds from his career there does not include any disciplinary action or evidence of investigations against him. But an agency official noted that the DNR's retention schedule allow such records to be destroyed four years after an employee leaves. Cornish left the DNR in 2003 on the day before he was sworn into the Legislature, the records reflect. Cornish is divorced, has three children and 10 grandchildren, according to a biography on his campaign website. He's best known for his work on public safety issues and his strong support for gun rights, along with his wardrobe, which includes cowboy boots, string ties and handcuff shaped tie clips. As chair of the House's public safety panel, Cornish has broad discretion over which bills make it to the House floor and which will die with a negative committee vote or no hearing at all. As a lawmaker, Melin said she never reported his messages and other unwelcome conduct to anyone. "I don't want to say that it didn't rise to the level of harassment because it would definitely be considered sexual harassment," Melin said. "But I never felt like he was in a position of power or anything over me where his comments really had an impact on my work." But others say Cornish's conduct has an impact on their work and worried that raising concerns about it could harm their careers and the legislative agenda they're trying to advance. Lawmakers and lobbyists need his blessing if they want to change criminal justice policy or spend state money on a public safety issue. Legislative leaders say they previously scheduled sexual harassment training for lawmakers to be held over the next three months. Daudt said he has encouraged every House member to attend. Because they're elected officials, Daudt said he can't make the meetings mandatory but will strip committee assignments to lawmakers who choose not to attend. He's also encouraging people, including legislators, legislative staff and lobbyists, to tell the House Human Resources office if they ever felt victimized. "We want to provide an environment where we can come forward and then we can deal with those complaints and respond to them in an appropriate way," Daudt said. But the current complaint process in both the House and Senate offers little recourse for lobbyists to complain about inappropriate conduct. The policies in place offer guidelines for legislators and legislative employees but aren't clear about whether lobbyists have any standing to make a formal complaint.